The prothrombinase complex plays a pivotal role in the coagulation cascade. It is responsible for the proteolytic conversion of prothrombin to thrombin, which in turn is involved directly in the formation of fibrin, activation of platelets, and feedback activation of other components of the cascade. It is among the most thoroughly studied coagulation processes, and some have suggested that the mechanisms of prothrombinase assembly can serve as a model for understanding other components of the coagulation system. Prothrombinase assembly requires a platelet surface in vivo; thus, this stage of clotting involves a unique interaction between the protein-based coagulation cascade and platelet activity. 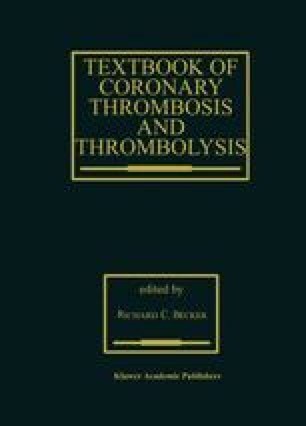 Accordingly, the investigation and development of antithrombotic compounds has recently been directed toward prothrombinase. In this chapter we summarize the current understanding of prothrombinase assembly and function.